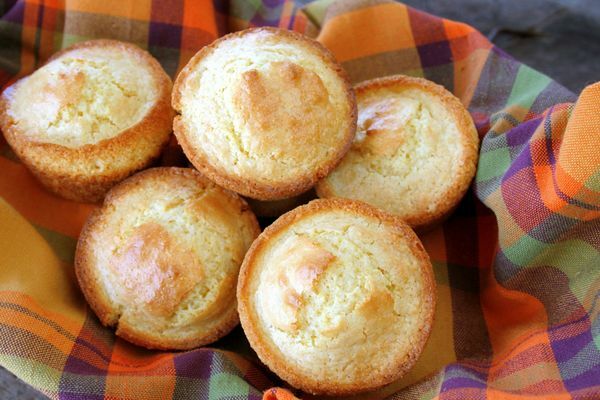 The Perfect Cornbread Recipe– And This Time We Added A Little Kick! Looking to spice up the usual cornbread recipe? Add some jalapeño for a kick and some cheddar for flavor that you’ll love. These muffins are absolutely perfect as a side – pair them with chili, fried chicken, and all your summer barbecue favorites. Or, just enjoy them as a snack, they are definitely good enough to eat that way! This recipe only makes 12, but we’d suggest doubling it for a bigger crowd – these muffins will definitely get eaten quickly! Get a medium-size bowl and combine the butter, sugar, and agave nectar, then whisk the eggs and buttermilk in. If you donít have buttermilk on hand, then put a tablespoon of lemon juice in a measuring cup and fill it the rest of the way to the one-cup mark with milk. Let the mixture sit for five minutes, and youíll have buttermilk. In a separate bowl, sift the cornmeal, flour, salt, and baking soda together. Then add this mixture to the medium bowl of butter and sugar and agave, being careful not to over-mix. Stop mixing once you donít see the flour anymore, and then fold in the jalapeño, corn, and cheese. Grease a muffin tin and then add the batter to each of the 12 cups, filling each about 3/4 of the way. If there is leftover batter, spread it among all the cups ñ just make sure they are only almost filled to the top. Bake for 25 minutes, testing the center of the muffin with a toothpick. If the toothpick does not come out clean, put the muffins back in the oven for about five minutes.